This memorandum (updated 1/3/19) describes the awards and the nominating procedures. Each award carries a stipend. 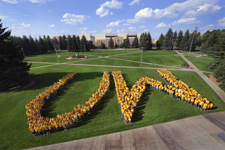 Please send nominations, including all letters and supporting materials, electronically, to Michele Peck, mpeck@uwyo.edu. The deadline for receipt of complete nomination packets is February 22, 2019. The Graduate Council will review nominations and select awardees.